Huntington, NY – June 6, 2017 — Serendipity Electronics Inc., a leading global diversity supplier of high volume electronic components and computer peripherals, announced today the celebration of their 25th Anniversary in business. The company also announces their acquisition of the electronic component distribution division of Nex-Solutions, Inc. This acquisition expands the company’s sourcing reach in Asia and gains a long-standing base of domestic OEM and EMS customers. 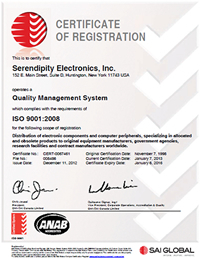 Contributing to the success of Serendipity Electronics Inc. is the company’s service of some of the world’s largest manufacturers and their CEM’s in varied markets ranging from the automotive, electrical and mechanical industries to the communications and medical industries as well. Services provided include sourcing urgent requests for quote, purchasing providers for OEM’s and Tier One’s, and cost savings opportunities with strategic sourcing in Asia. 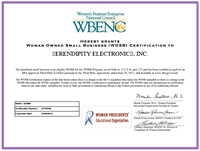 Servicing a variety of industries, as well as diversifying their portfolio of services, enables Serendipity Electronics Inc. to compete as a valued supplier in the electronic components industry. 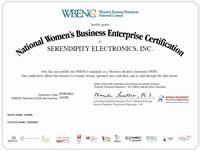 Founded in 1991, Serendipity is a company certified by Women’s Business Enterprise National Council (WBENC) and Woman Business Enterprise (WBE). As one of few independent distributors with this certification, the company meets the diversity needs for some of the world’s largest OEM and EMS companies on a global basis. 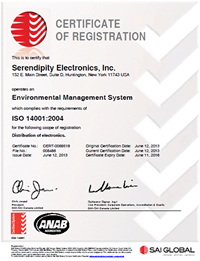 With its ISO 9001, ANSI/ESD 20.20, AS9120, and ISO 14001 certifications, Serendipity is dedicated to the distribution of electronic components and interconnect products. They serve a wide range of end markets that include automotive, aerospace, medical, industrial, and government electronics. 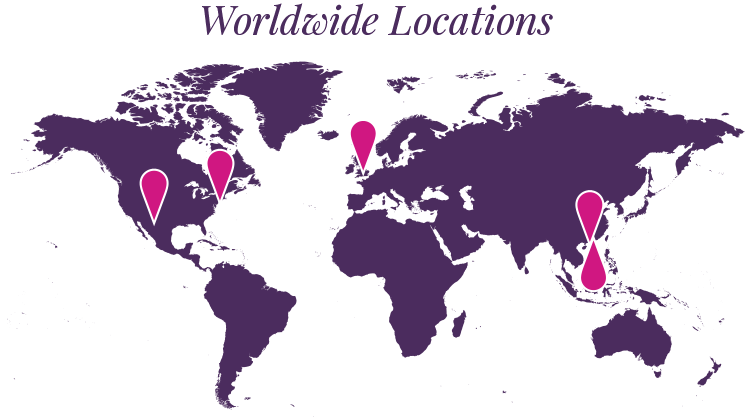 Serendipity has locations in New York, Shenzhen, and Canada with hubs in El Paso, Laredo, Eagle Pass, UK and Hong Kong. Nex-Solutions, Inc., provides a suite of services that include electronic component distribution, custom component manufacturing and industry advisory services. Since inception, the company has operated in Asia and has a significant team of sourcing specialists within the region and a supplier company that has been built upon long-standing relationships.